Retro Game On: Hardware Review: Generic After Market Power Pack for SNES! Hardware Review: Generic After Market Power Pack for SNES! Today we have probably the most exciting hardware review ever in Retro Game On history. Yes, hold onto your socks. It's an after market generic power pack for the SNES. My god, just look at it. Actually, it's recommended that you don't look at it for too long, you may go blind from it's awesomeness. It's both visually stunning and quite useful at the same time. Just look at that sleek black matt finish, toppled with a green LED. Man, do I love green LED's. The prongs are also so shiny, I'd rather just look at the damn thing than use it. But alas, it was constructed to be used, not gawked at. Physically it does what it should do, which is of course power the SNES. But lets not talk about that though, lets just bask in it's glory for a little while longer. The green LED is just visually stunning. When you disconnect it, the LED still stays on for a little while. How it does this I'm still not sure, but one can only presume it's powered by a higher being than me. I couldn't even focus the camera on it properly, must of been some electro magnetic fields powered by awesomeness causing interference. I think something this great should get more than just an article. Yes, I'm going to do it. 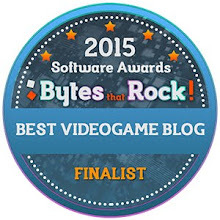 I'm awarding it something that has only ever been awarded once ever on this blog. 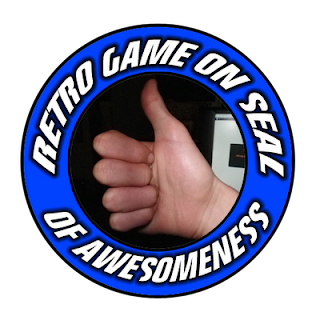 Yes, the Retro Game On Seal of Awesomeness! Well this is good info for me.